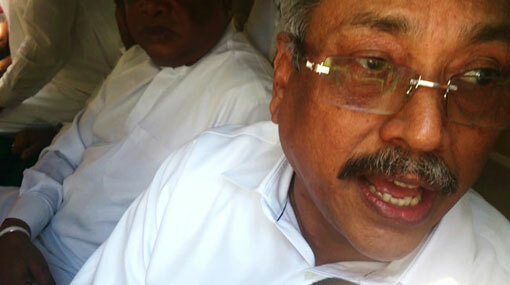 Former Defence Secretary Gotabaya Rajapaksa has arrived at the FCID on Tuesday (20) morning. Rajapaksa has been asked to visit the FCID for questioning regarding the controversial MiG deal and a share issuance by Lanka Hospitals. A complaint had been filed recently alleging financial fraud at the Lanka Hospitals Corporation PLC under the chairmanship of former Defence Secretary Gotabaya Rajapaksa between 2009 and 2014. Rajapaksa was appointed as the Lanka Hospitals Chairman after Sri Lanka Insurance reverted to government ownership after 65.14% shares were acquired by the state. The complainant claims that the former Secretary of Defence took control of the affairs of the hospital and was responsible for a financial fraud amounting to Rs.600 million that took place after artificially manipulating the price of a Lanka Hospital shares at the stock market. Gotabaya Rajapaksa on May 11 also filed a Fundamental Rights (FR) application challenging the legality of establishing the FCID. Through the application, Gotabaya has also sought intervention of the Supreme Court to prevent his imminent arrest pending and/or on the conclusion of the several purported investigations by the Criminal Investigations Department (CID), Commission to Investigate Bribery and Corruptions and/or the Frauds and Corruption Investigations Division (FCID). The respondents in the petition include the Cabinet of Ministers, Secretary to the President, Inspector General of Police, Deputy Inspect General of Police (Frauds and Corruption Investigative Division), Director of the CID, and the Attorney General.